Engine - A 1.8t engine from almost anything in the VAG range can be used - an AGU from around '99 is recommended. 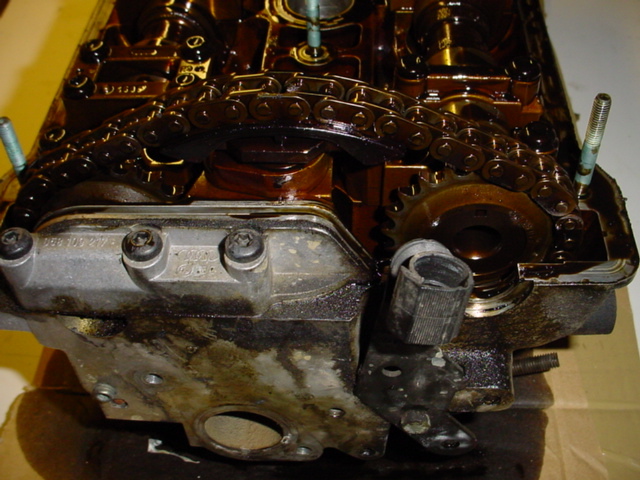 Transmission - The same goes for the gearbox however the Mk2 Golf unit won't last long. Mk4 is a good choice. Clutch - on later 'boxes it is operated hydraulically, not cable but can be converted. 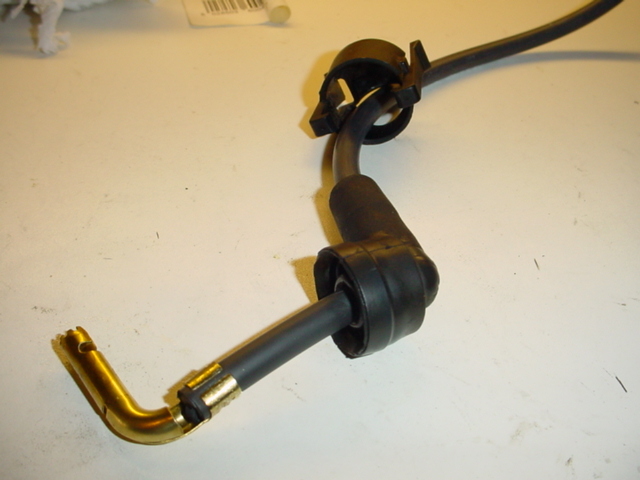 Cooling - the Mk2 radiator hose fittings are in the wrong place - a 1.3 rad fits on the opposite end but is smaller. 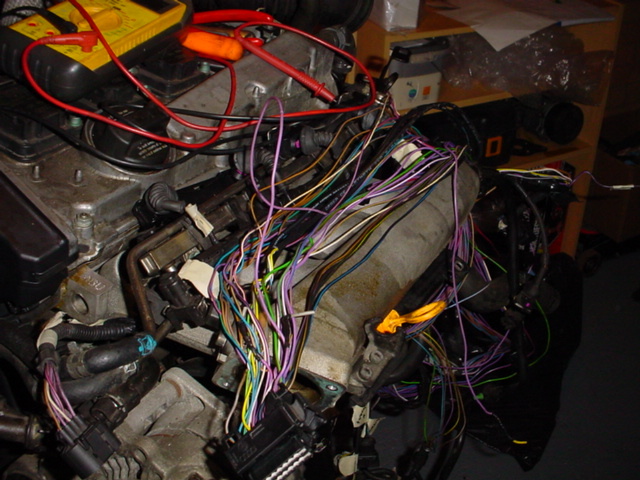 Wiring - depends mainly on what ECU is used. 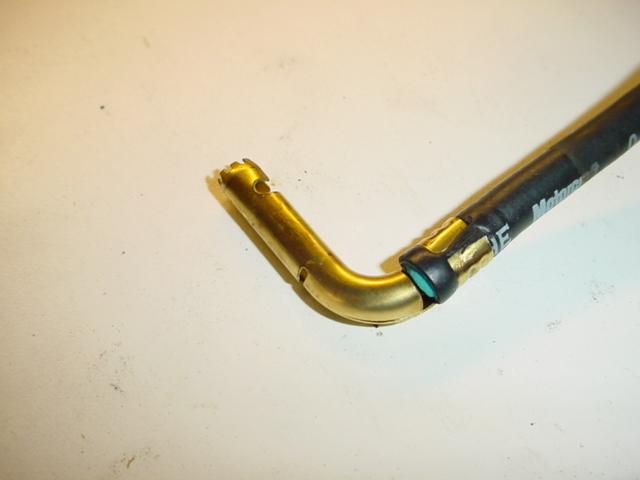 Intercooler and pipes - the Mk2 wasn't designed for these - plan their route carefully. Extra heat - turbo's produce a lot of heat, wires, pipes etc. will need protecting. 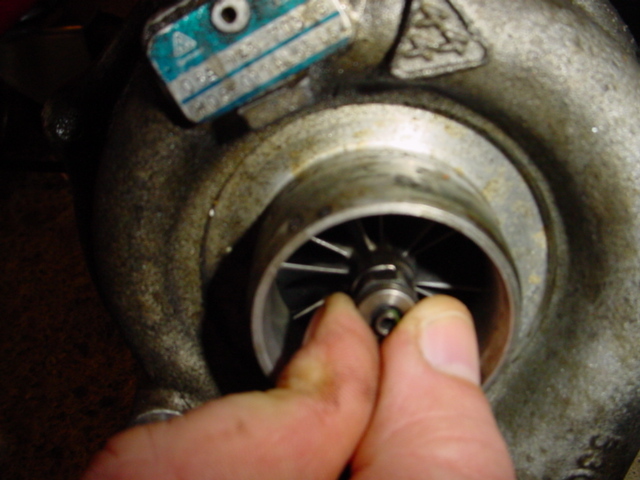 The first job after sourcing an engine was to partially strip and inspect it. 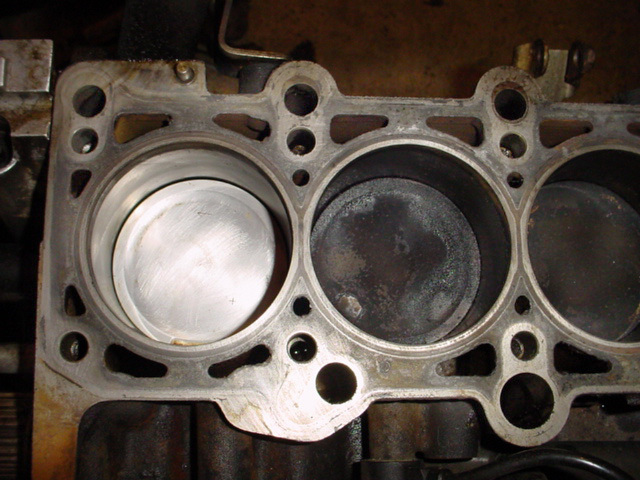 Both manifolds, cylinder head and sump were removed. The head bolts are quite deep in the head and need a special socket to reach - it costs about £15. 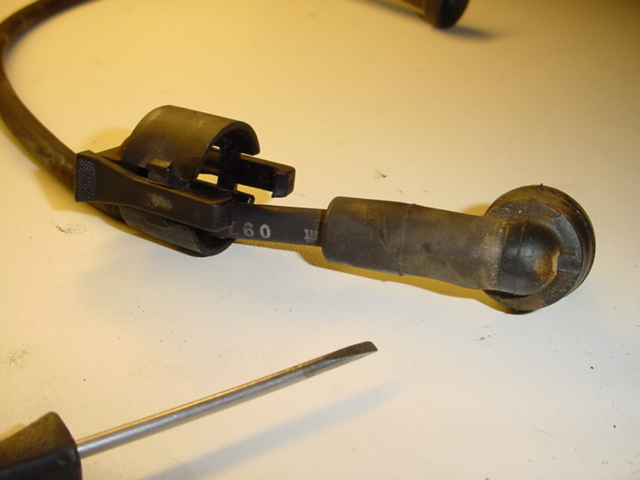 As the crankshaft big end bolts are stretch bolts (like head bolts) the pistons, crank and conrod's were not removed. If this was a fragile engine I would have completely stripped it but they have a reputation for being reliable, robust units so I took a chance and saved some cash. 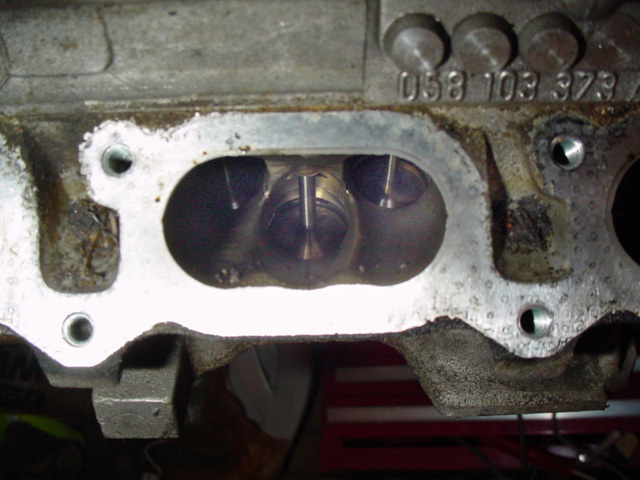 With the manifolds off I could see the previous owner had uses decent fuel by the lack of deposits on the valves. Unfortunately the sludge in the sump pointed to poor servicing. This had done the turbo no favours. 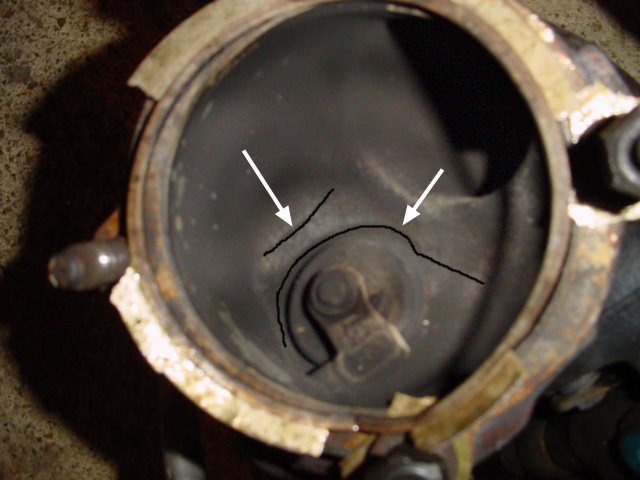 There was around 8mm of play in the spindle and the wastegate housing was cracked (highlighted). The exhaust manifold was also cracked - this is not unusual in turbo applications as the exhaust can reach temperatures of 8-900° celcius! Heatsheilds have 'do not touch' warnings on them for a reason. Aside from this the rest of it looked pretty good. The head was just dirty, the cams and buckets were removed and inspected. 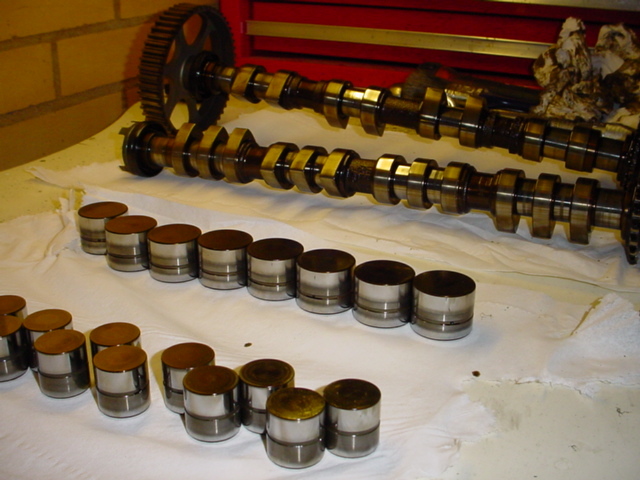 The cambelt only drives one of the camshafts, the other being driven by a chain with a tensioner between them. This tensioner is both sprung loaded and oil fed, presumably having a spring in case of an oil pressure problem (which would allow the cams to rotate too much and potentially result in valves hitting the pistons). With the engine checked and cleaned it was just a case of bolting it back together with lots of new, shiny parts including new belts, gaskets, filters etc. 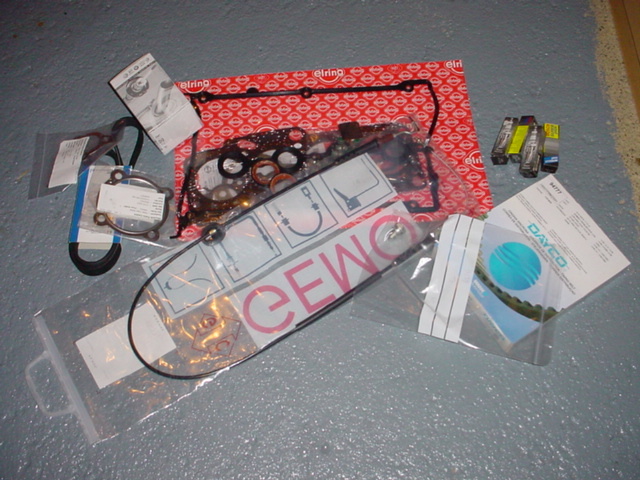 The head gasket set was the only item which was pricey, I was quoted £95 in one shop! With the engine back in one piece it was time to attack the wiring. Each wire was traced back from the ECU plug. I did initially want to put megasquirt inside the standard ECU case as I could then leave it in the engine bay - the MS case isn't watertight. 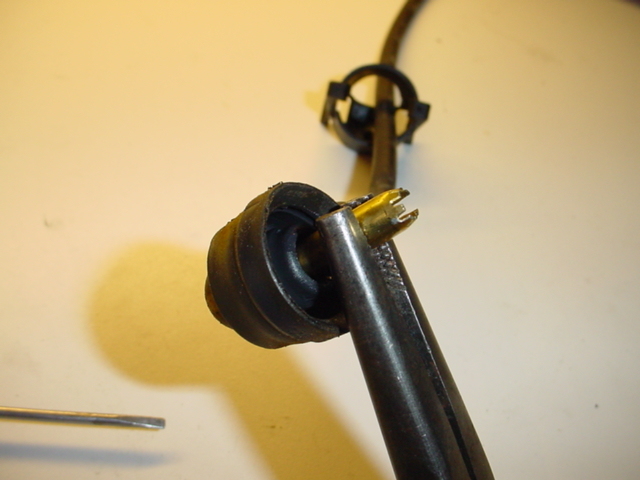 However it was a few mm too small so I used a waterproof bulkhead connector from a Vauxhall Corsa door loom to run the wires inside the car. I also made a pin removal tool out of some ground down welding wire. There were a lot of decisions to make regarding the wiring, whether to use COP (coil on plug) or a coil pack, Ford EDIS or stock VR (crank sensor) setup, where to mount MS etc. I used the KISS theory - Keep It Simple Stupid!. See the Megasquirt section for full wiring details. As there are literally hundreds of Mondeo's, Fiesta's etc in scrapyards I decided on a Ford coilpack - however the HT leads were not going to be long enough so I made some new ones. 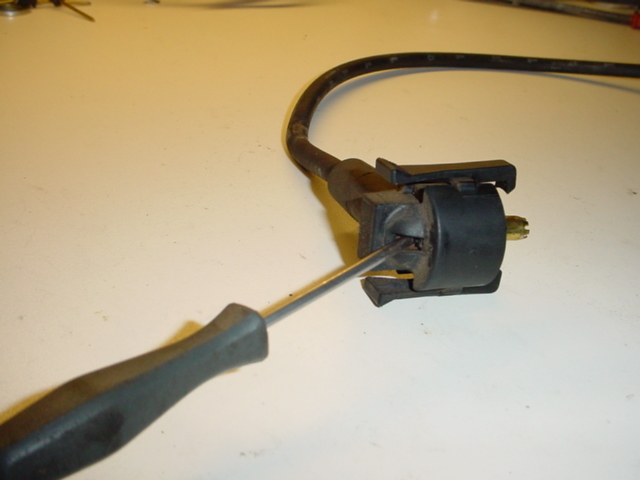 How to convert non EDIS plug leads. 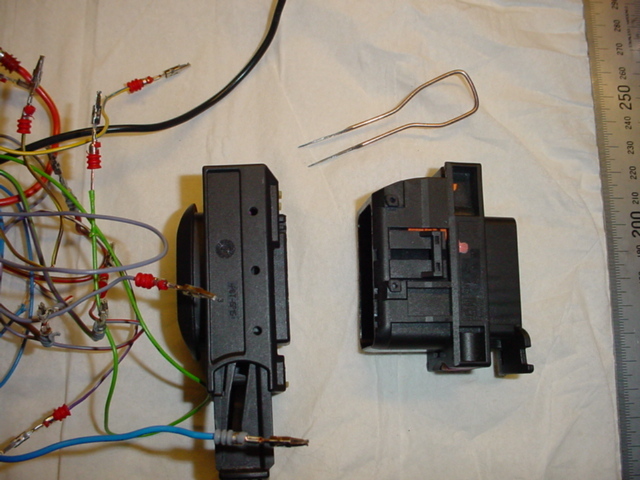 Take 1 scrapyard EDIS pluglead and carefully prise off the plastic surround. Slide the surround out of the way and VERY carefully grip the contact and ease it out of the rubber boot.  It will snap easily, use some lube if necessary. With the boot out of the way uncrimp the contact and remove it together with boot and surround. 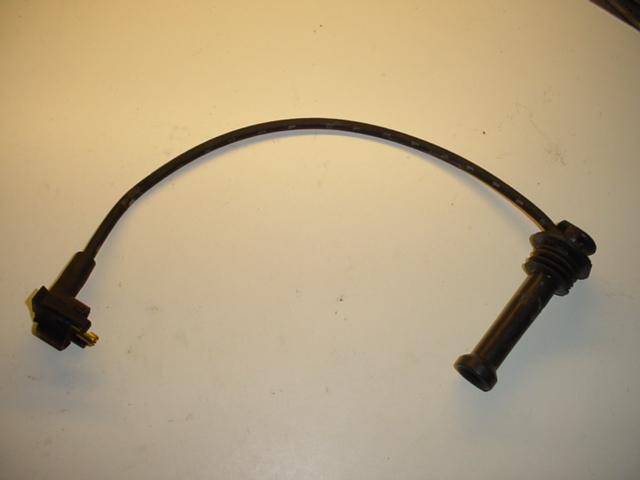 Assemble these parts on the new lead and crimp tightly.